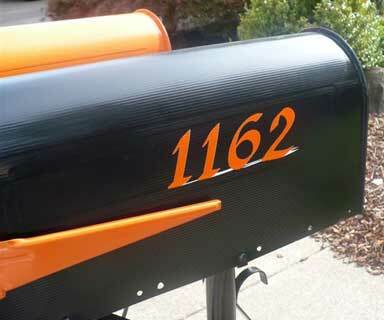 Vinyl Lettering Use: Mailboxes. Both myself and my neighbor are avid Oregon State Beaver fans. With their colors being orange and black and our mailboxes being side-by-side, we didn't have a choice when it came to repainting them.